If you love to read, chances are you probably also have a love of writing. Regardless if you want to write or not, I think it’s important for all proofreaders and copy editors to be aware of what goes into writing. It’s not an easy process. As a writer and editor, my understanding of what writers go through gives me a unique and empathetic perspective of the books I work on. It also helps me relate and communicate better with writers. 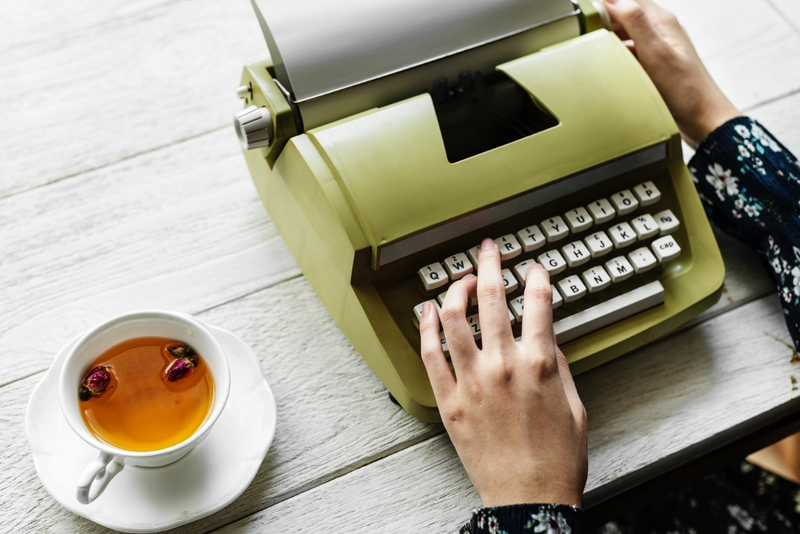 So I asked my friend Shannon, who is a seasoned book editor, to share some tips on writing fiction to help you as writers, proofreaders, and copy editors. We are at the end of November and for some that means the end of National Novel Writing Month (NaNoWriMo). This event began in July 1999, and continues now as a personal challenge to write an entire novel in a single month. A daunting task for nearly anyone, but many undertake it for a variety of reasons as unique as the fiction they write. You may not want to try to write an entire novel in a month, but if you’re reading this post, then you’re curious about developing your writing skills. Here are some of my tips for writing fiction. 1. Write down ideas for stories wherever and whenever they hit. If you get an idea for a story, don’t wait too long to write it down. Jot down a note on your phone or on a scrap of paper. If you wait too long you might lose it. Even if the idea ends up getting discarded later, you at least have the choice of deciding whether or not to develop it. For example, author Anna Todd had an idea for a story and began writing it on her phone while she was in the checkout line at Target. The story found a following when Todd started posting chapters to Wattpad, an online story-sharing site. The popularity of her story, After, grew so much that it’s been published in print and has been made into a film that will release next spring. Now, this is an incredible—and very unusual!—success story, but can you imagine if Todd had decided to wait until she got home from the store and forgot about her story idea along the way? You never know which idea will be a winner. 2. Pick a genre, any genre. Fiction genres include mystery, historical, science fiction, romance, thriller, crime, supernatural, fantasy, literary, etc. Some genres can cross over, but try not to mix too many. An attempt to write a romantic supernatural murder mystery set during the Battle of Hastings might prove to be a bit much for anyone to read, let alone for you to write. Think about what genre interests you most. Not every writer does this, but it’s a good exercise to try, particularly if you’re a new writer. When you start writing blindly, it’s far too easy to veer off track and write yourself into a corner or end up with a meandering story that goes nowhere. Figure out where you want your story to begin and how you want it to end, and then a few major events that need to happen along the way to connect the starting and end. Let’s use a simple example with a fairy tale like Cinderella. Cinderella is the story of an orphaned young woman who is mistreated by her cruel stepmother and stepsisters (beginning). She escapes these circumstances by falling in love with a kind prince and they get married and live happily ever after together, leaving her cruel relatives behind (ending). What are the major events Cinderella experiences along the way to help her achieve this end? Brainstorming and writing down these plot points will help structure your story and guide you to the ending you want. Sometimes the ending will change along the way, but at least this way you don’t find yourself with Cinderella volunteering to fight goblin hordes, the stepmother overthrowing the monarchy, the prince falling into a coma after eating a poisoned banana, and you have no idea how you got there (but I kind of want to see where THAT story is going now). 4. Develop a writing schedule. If you’ve made it this far with your idea, it means it’s got legs and you’re excited to see where it goes. Now you need to find time in your busy life to devote to writing your story. This is why I mentioned NaNoWriMo at the beginning of this post. A lot of participants like NaNo because it really forces them to develop to a schedule and commit to it. Thirty days to write an entire novel is intense and you have to devote X number of hours a day to get it done. However, just because there isn’t an official challenge doesn’t mean that you can’t challenge yourself to keep to a schedule. Think about what times of day/times of the week work best for you. I know some authors who like to get up before sunrise and get a couple of hours in before the rest of the world wakes up and before they have to go to work. There are some who find they can get in some time in the evenings after their kids have gone to bed. Some can only eke out time on the weekends. Whatever it is, just find the time that works for you and make an effort to commit to it. Enlist the help of your family and friends to help you meet your goals, whether that’s by pitching in more around the house, giving you some space and quiet time to write, and, of course, encouraging you in your writing! This is another exercise you might want to undertake before beginning to write fiction. I challenge you to write a short biography for each major (and major supporting) character in your story. How old are they? What do they look like? Where did they grow up? What kind of family do they have? What are their major personality traits and what factors in their lives have contributed to these traits? Are those traits covering up their true natures? For example, maybe Character A uses humour to defuse tension because they lived in a house where the parents argued frequently. Character B tells lies because they grew up feeling they weren’t interesting enough in just being themselves, etc. What are the connections between the characters? You are going to write these people into life. Get to know them. Become friends with them. Even the not-so-nice ones. Sometimes they need the most love of all. 6. Don’t feel the need to write in story order. This means don’t feel like you need to start writing at the beginning and that you have to have everything else written before you can write the ending. Movies aren’t shot in script order, so why should you have to write in order? This is where your outline comes in handy. You can jump in where you want to and come back to other scenes later. This can be useful if you’re starting to run out of steam with a particular scene, and are really wanting to write another scene that’s either more exciting, or perhaps you were struck with some new inspiration to give this scene some extra oomph. Take a break from the scene that’s slowing you down and write the part that’s inspiring you. You can come back later and connect the scenes together. This is something of a cardinal rule for all fiction. Don’t just tell the reader what happened. That’s cheating. Show them. If one character gets into a big argument with another that leaves them in tears, then write the argument out. Let the reader witness the hurtful actions. Just writing “they got in a heated argument and she started to cry” doesn’t allow the reader to emotionally invest in your character. If you think your first draft is absolutely perfect … you’re wrong. Sorry, but it’s the truth. First drafts are usually pretty rough, but you should be very proud of yourself if you complete a draft! Now it’s time to read it over again and again and see where it needs improvement. Once you think you’ve done some good self-revision, it’s time to let someone else read it. Find someone who knows how to give constructive feedback on writing, and someone who will tell you the truth (but tell you kindly). In some writing circles, this is called a “beta reader.” These outside readers can help you identify problems with your fiction that you can no longer see because you’ve spent so much time with the story. These problems can include plot holes, mistakes in grammar and spelling, and factual errors. Phon’s note: Of course when you hire a proofreader or copy editor who has been trained to work on books, this will be part of their job! Students in our High-Level Proofreading Pro course are trained to do all this and more. 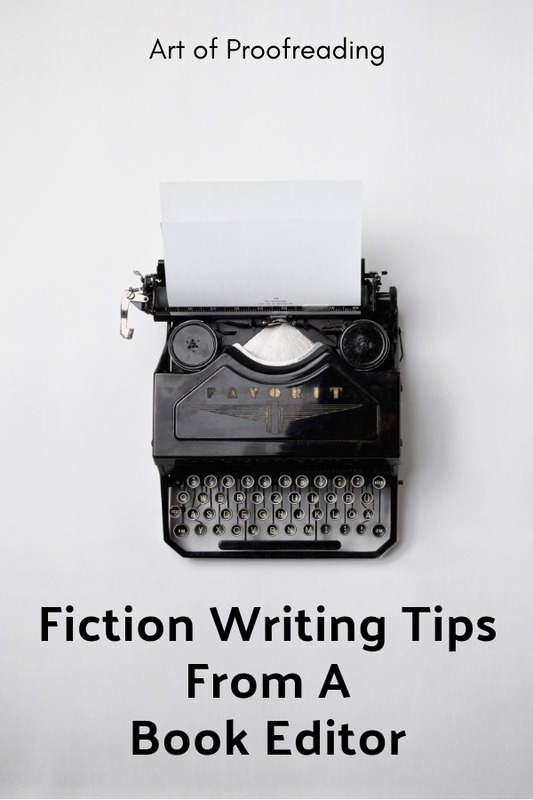 I hope these tips for writing fiction are helpful and I want any prospective fiction writers to know that the most important thing to do is to JUST WRITE. Write as much as you can, whenever you can. You can even just write for yourself. However, if you want to approach fiction writing with the goal of eventually sharing it with others, these tips can help you find your footing. Good luck! 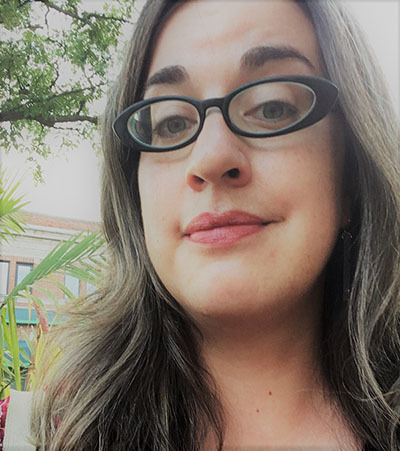 Shannon Whibbs is an editor and writer who has been working in publishing for the past fifteen years. She has worked as an editor for HarperCollins Canada, Dundurn Press, House of Anansi Press, and Harlequin. She currently is a freelance editor, and copy editor for NOW magazine.